The fourth renovated yard within "Bizim həyət" (Our Yard) was handed over to residents in Nizami district. Launched at the initiative of head of IDEA, Leyla Aliyeva, the project aims to improve yards that need renovation, increase areas of greeneries and create more comfortable living environments for citizens in Baku. 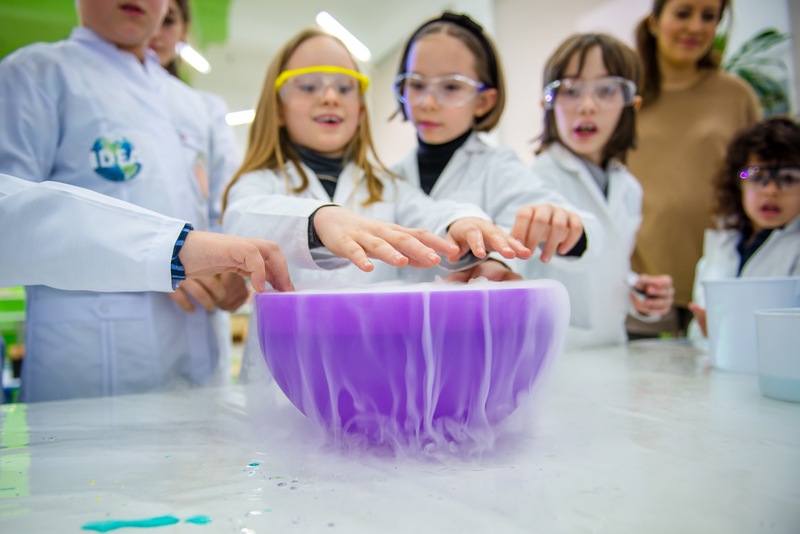 The Ecological Laboratory is a monthly training session jointly launched by IDEA and Sevimli Bala kids club, providing opportunities and resources to extend the children’s knowledge and awareness of the environment. The May session was dedicated to the theme of paleontology. At the annual tree-planting tradition honoring the national leader, President Ilham Aliyev, First Lady Mehriban Aliyeva and IDEA founder Leyla Aliyeva panted trees with young volunteers. Active eco-scouts of IDEA become "Nature Lovers"
The eco-scouts, who successfully completed the initial stage of the project by surpassing the 1000 points, received their new badges and certificates, along with memory gifts. On 21 November 2017, IDEA founder met with the UNICEF (United Nations Children's Fund) Regional Director for Europe and Central Asia Afshan Khan to discuss prospects for mutual cooperation, namely in expanding environmental education opportunities for children in Azerbaijan, as well as joint efforts to empower and integrate children with disabilities into mainstream society. New social advertisement video of IDEA Public Union. 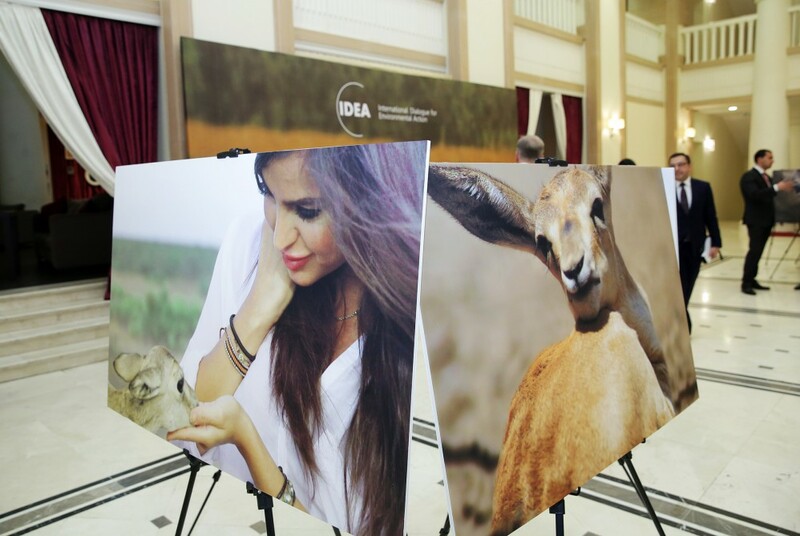 IDEA Public Union has presented a new social advertisement video made within the framework of "No tree cutting" programme implemented jointly with Heydar Aliyev Foundation. As you read this page carbon emissions on earth surges up. The meter calculates annual cumulative CO2 emissions one the globe. In the framework of the campaign, poplar trees, which are considered hazardous based on the assessment of the Examination Department of the Ministry of Ecology and Natural Resources, will be cut down and replaced with pine, cypress, olive, Japanese pagoda, ash, medlar, hackberry and other trees in accordance with soil and climate conditions of Baku and the Absheron peninsula. Continuing its mission as an organization that implements large-scale projects aimed at drawing youth’s interest to ecological issues and engaging them in environmental protection, IDEA Public Union organises session of its Green Conversation Club in 2016. The meetings take place at the Resource Center located at the Academy of Public Administration under the President of the Republic of Azerbaijan. IDEA’s education program pays special attention to academic training of young individuals who study and work in the environmental sphere. 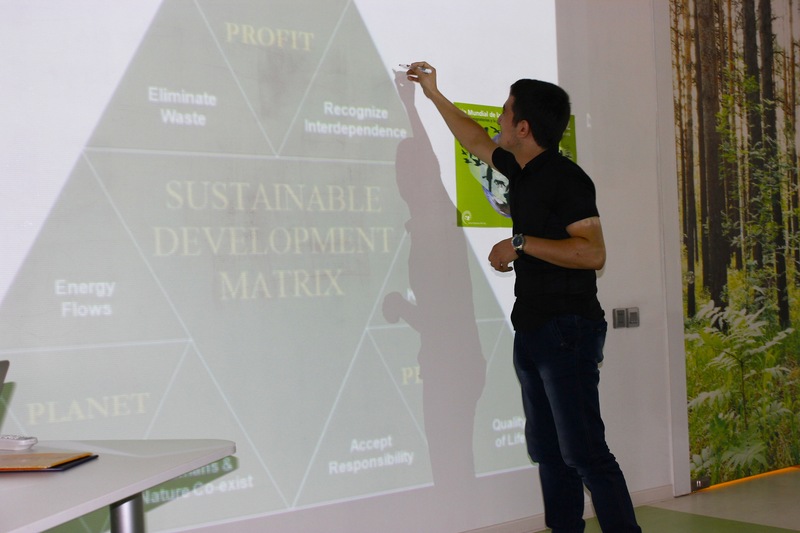 It regularly organizes scientific seminars and field studies on ecological issues in Azerbaijan and the region, including discussions on possible ways to address them. 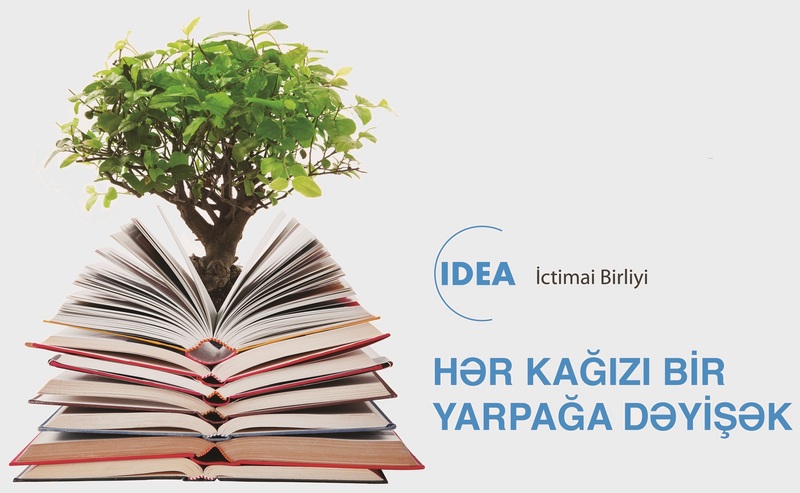 Since January 2015 “Ecological laboratory for children” project was jointly launched by IDEA and “Sevimli bala”, within the framework of newly established cooperation between two organizations. The project consists of series of enlightening events on environment for children aged 6-11. 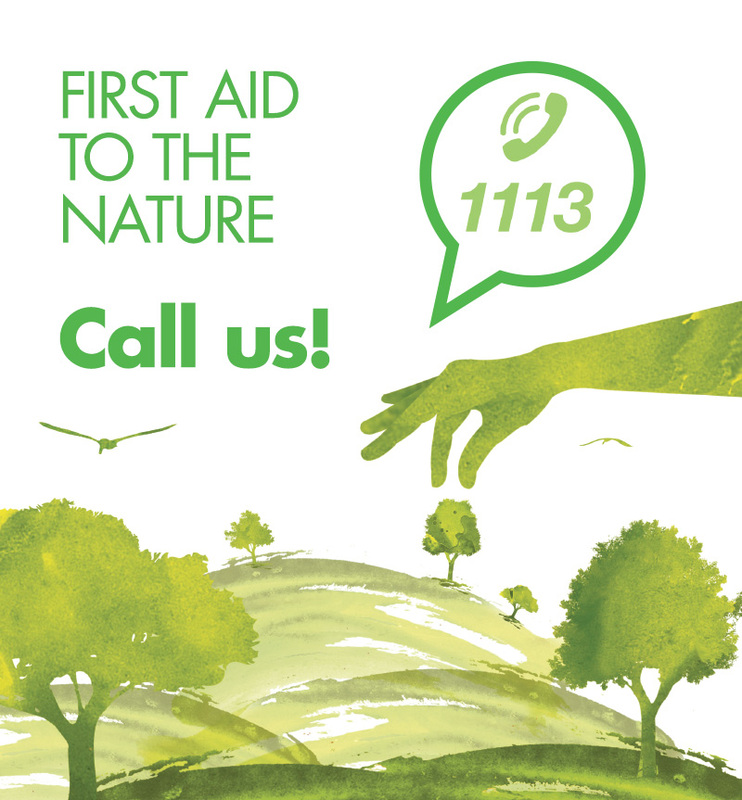 The purpose of the project is to facilitate deepening children’s perception of environmental protection. IDEA Public Union and the State Agency for Public Service and Social Innovations under the President of the Republic of Azerbaijan jointly keep maintaining of “Let’s turn papers into leaves” project devoted to the nationwide collection of used paper products. Since January, 2014 “Ecological laboratory for children” project was jointly launched by IDEA and “Sevimli bala”, within the framework of newly established cooperation between two organizations. The project consists of series of enlightening events on environment for children aged 5-12. Symbol of organizations, protecting of nature, crane first began in the United States. 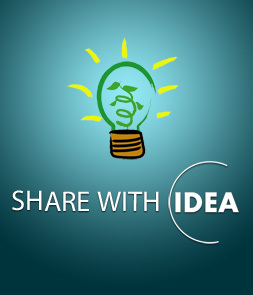 The first official branch of IDEA was founded in April, 2012 in Moscow, Russia. 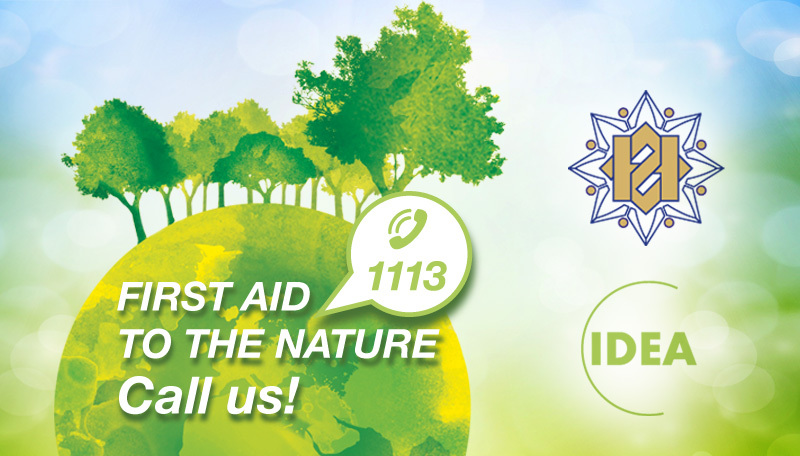 IDEA Moscow Office is responsible for organizing ecological projects in Russia, establishing partnerships with Russian environmental NGOs, and implementing environmental awareness campaigns among Russian youth.